Mail.ru Group is the leading email and internet services provider on the Russian-speaking market. Other than email it provides social media, instant messaging, online games, job searching, eCommerce and cloud solutions. 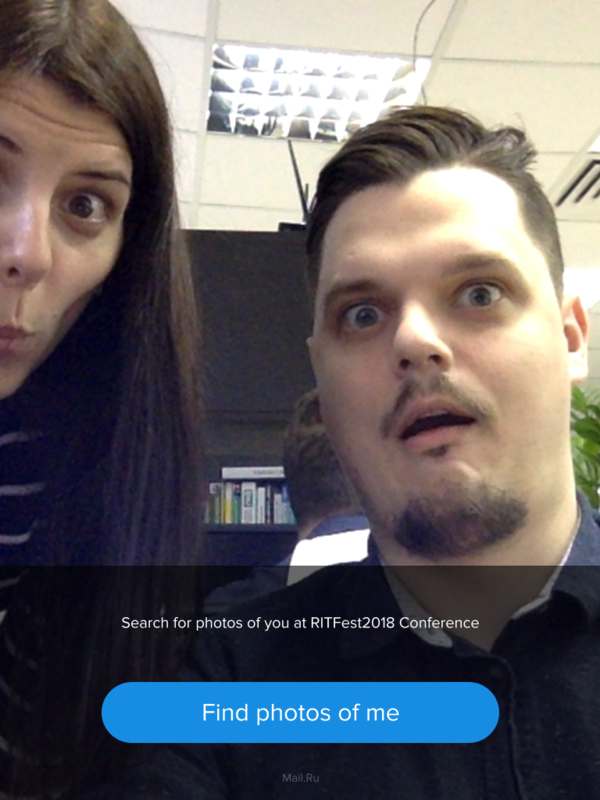 Project goals were to provide conference visitors with an easy and convenient way of retrieving photos that professional photographers were taking of them at the event. Our team at LOVATA was hired to implement an application and integrate with Mail.ru face recognition technology. We had to provide an app with a smooth and fluid interface for users to interact with on a stand at the conference. The idea was to create a great user experience. By taking a photo of the person/persons, the application was to determine whether photos of them have been added to Mail.ru database, and if so, send a link to download the photos to the person’s email. These photos are then displayed by our app and the user is prompted to type in their email in order for our app to send the link to their photos folder. 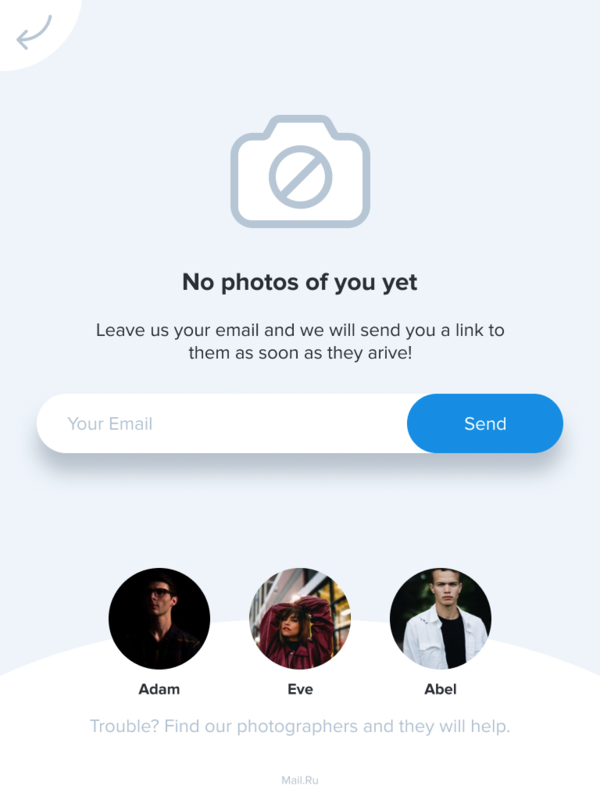 If there were no photos found in the database, the person is prompted to provide their email in case photos will appear later on. The app also displays the photographers and their names for the person’s convenience, if one has to ask any questions or get some additional information regarding the photos. 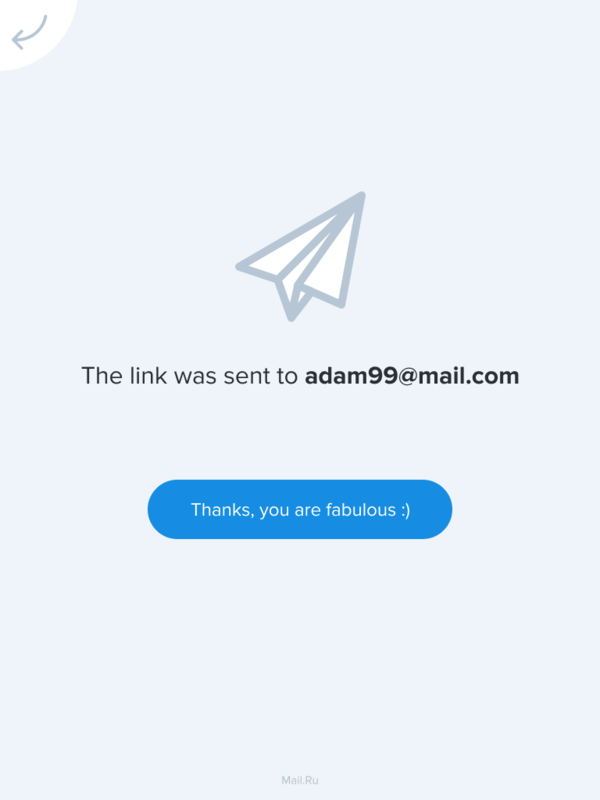 In the end, the app thanks the user and displays the email the link to the photos was sent to.